There are so many wonderful upcoming design-related events in Houston. 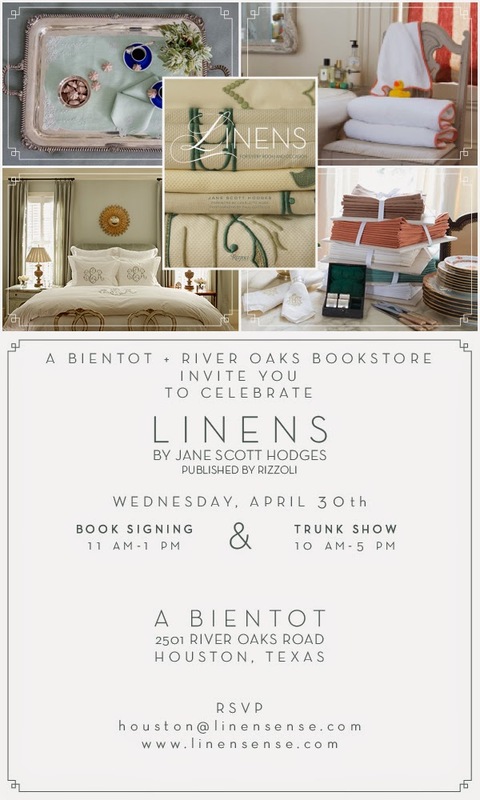 Next, week I am very excited to attend a book signing and trunk show for the incomparable Jane Scott Hodges, founder of Leontine Linens and author of the beautiful new book, Linens at my dear friend, Betty Newton's chic boutique, A Bientot. If you are in Houston next Wednesday afternoon, I hope you will join us.